Two young entrepreneurs create and discuss million dollar ideas. Joined by a variety of guests from a wide array of industries ranging from art to zoology, Toomas and Mash find millions of ways to make you a millionaire! A BATTLE ROYALE IN JAIL?! 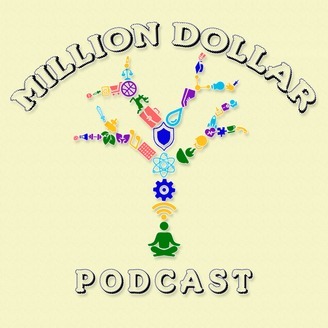 All bets are off in this fun episode of Million Dollar Podcast. Nicole O’Block joins us in the studio to invent a TV show set in prison, we go about designing the world’s smartest fridge, and Nicole discusses the power of gardening and travel for the soul. From start to finish this episode is a rollercoaster of travel stories, hilarity, and ways to make this world a better place. You won’t want to miss this episode. For behind the scenes footage, and extra content, head to our YouTube channel by searching for Million Dollar Podcast. Like an idea? Want to tell us how you’re going to make a million dollar off of these ideas? Got a Million Dollar Idea of your own? Join the conversation on our Facebook , Instagram, or head to our website to get extra million dollar ideas as we create them for you! Go to our youtube channel to get the Video podcast and extra footage! 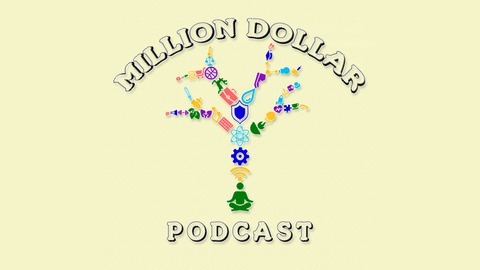 Want the audio podcast for million dollar ideas on the go? Our audio podcast is hosted by our partner Waterfall Stories go here to check out all our episodes or go to the how to listen section to get set up on your favourite podcasting app!